Gateway Extrusions is the foremost aluminum extruder in the St. Louis area. We pride ourselves on producing the highest quality custom aluminum extrusions. We also have a large catalog of standard dies, making many shapes available without a large die investment. Here at Gateway Extrusions we offer in house powder coating. We currently have a vertical paintline that allows us to paint metal in lengths up to 25ft. We also offer Anodizing services through our connections to local companies in the greater St. Louis area. Gateway Extrusions, Lts. 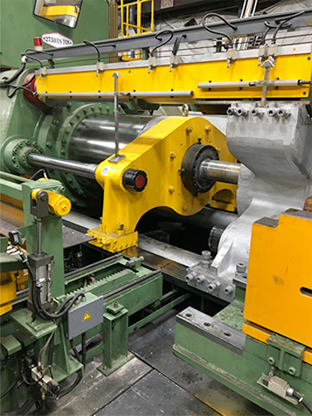 offers a wide range of aluminum extrusion services, from design through production, finishing and packaging, to the residential and commercial building and industrial product markets. We also provide Thermal Break processing with Pour & De-bridge thermal break. We can supply Polymide Strut Thermal break as well. Through outside sourcing, Gateway Extrusions can also provide you with complete anodizing in clear or architectural colored finishes.